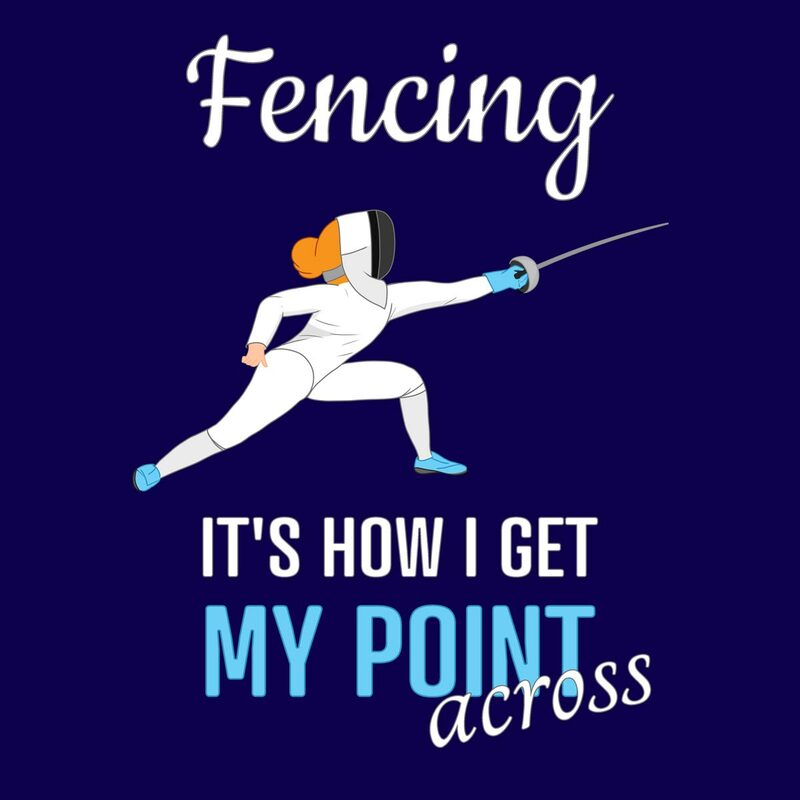 Fencing – It’s How I get My Point Across! This fencing T-Shirt with a custom lunging fencer illustration to show off the beauty of the sport and a POINT pun is a good everyday tee to wear for the fencer who is proud of the sport. 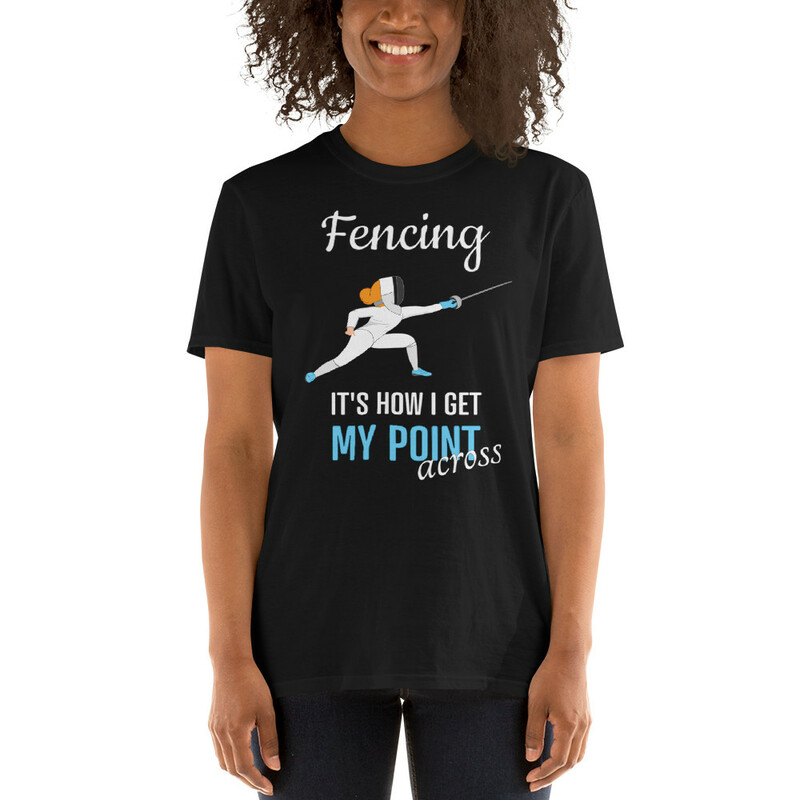 Fencing is pretty unique, so put this shirt on and go into the masses, it’s guaranteed to get peoples’ interest and creates some WOW factor. The t-shirt is made of thicker, heavier cotton, but it’s still soft and comfy. And the double stitching on the neckline and sleeves add more durability to what is sure to be a favorite! 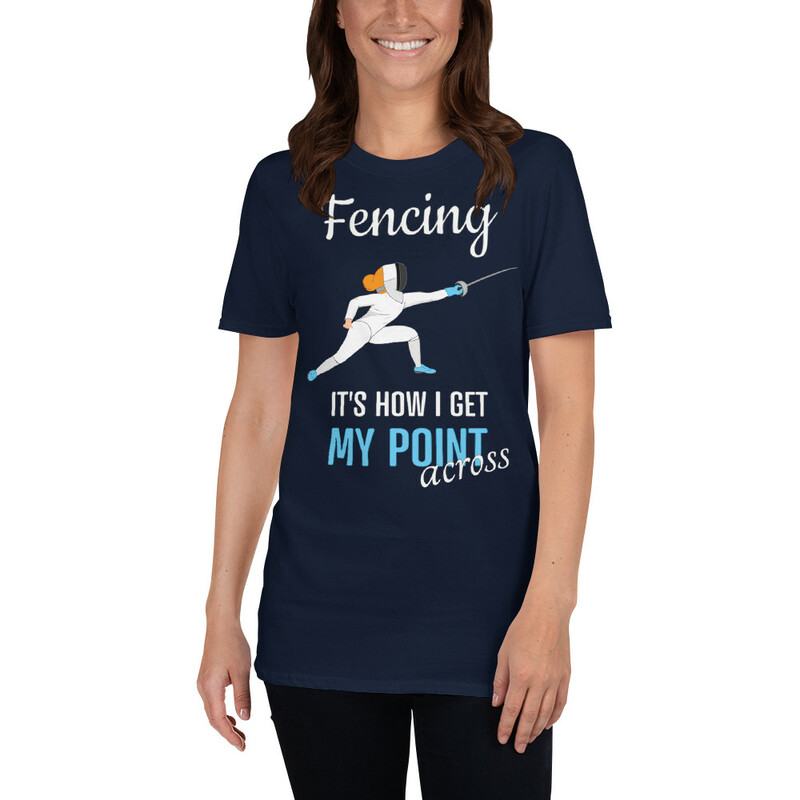 Makes a perfect birthday gift for the fencer (but works for other occasions). 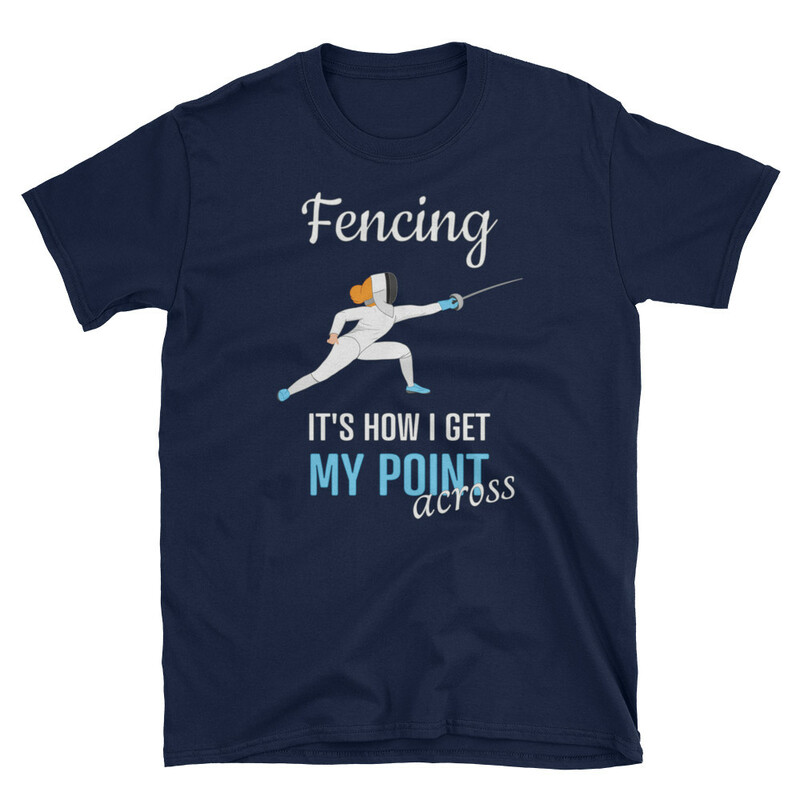 And as with all our t-shirts, the design is 100% ours, including the fencer cartoon, so it’s unique and guaranteed to be original.